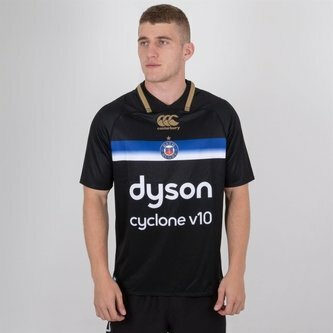 If you want a sure fire way to stand out in the crowd at the Recreation Ground grab this Bath 18/19 3rd Rugby Shirt from Canterbury and show everyone you're a true fan. 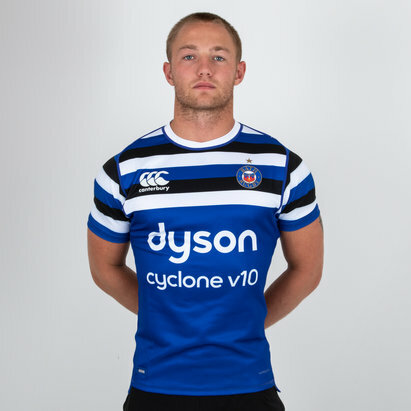 The Gallagher Premiership's Bath FC have three new kits ready to wow their fans this 18/19 season as they look to kick on from the 6th position that they finished in the league during the last campaign. As a club that has won England's domestic competition, the Premiership Rugby Cup, the Heineken Cup, and the European Challenge Cup Bath are determined to make this season everything it can be. 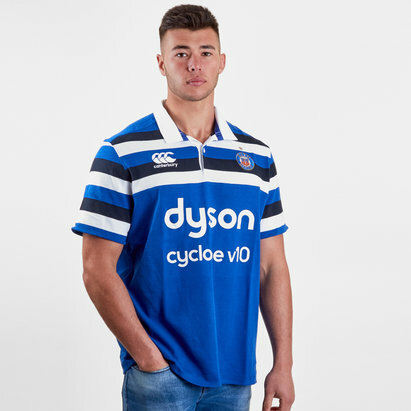 Support the Bath Rugby team in a replica jersey with a contemporary fit, slightly more relaxed than the 'players' Test jersey. The reverse pique body fabric lifts the jersey away from the skin, allowing greater comfort and breathability, while new raglan seam shaping gives increased mobility. The new Canterbury 'Loop 17' neckline gives a strong and comfortable fit. Finished with a uniquely numbered holographic security authenticator so you can put your trust in your jersey. 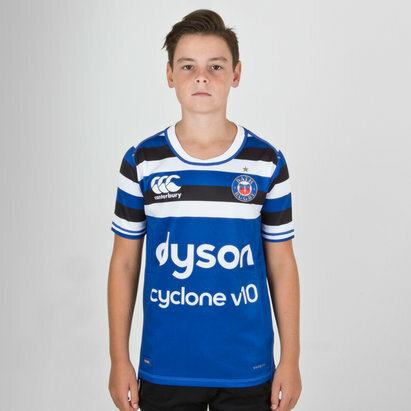 This shirt is black and features a white and blue stripe across the chest with gold detailing by the neck. 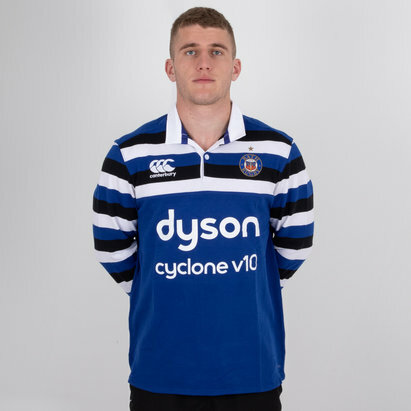 The club's badge and Canterbury logo are embroidered above each other in the middle of the shirt at the top with the club's sponsor - Dyson - below these.